Connect and Collaborate Network airs our daily radio show/podcast Monday - Friday, 4:00- 5:00pm MST. Our shows can be found on KDMT Denver’s Money Talk 1690 AM, as well as on our YouTube channel. Connect & Collaborate Network hosts a variety of different shows, and you can find all our episodes from our contributors below. 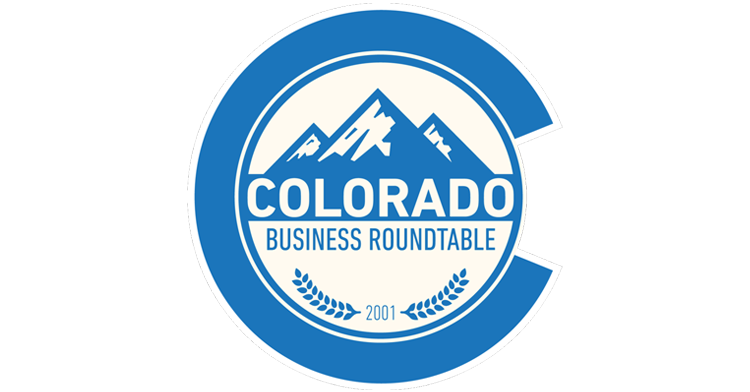 Colorado Business Roundtable is proud to Connect & Collaborate with leaders in Academia, Business, Government, and Community organizations. Our shows highlight important groups, issues, and ideas to help Colorado be a great place to live, work, and run a business. The vision of the Colorado Workforce Development Council is that every Colorado business has access to a skilled workforce and every Coloradan has access to meaningful employment resulting in statewide economic vitality. Find every episode of TalentFOUND here. The American Council of Engineering Companies of Colorado is the business association of more than 250 member firms employing approximately 11,000 employees in the independent private practice of consulting engineering. ACEC Colorado is a primary resource for accessing engineering information, expertise, and business ethics practices. Find every ACEC Colorado episode here. Footers Catering is a second-generation family business founded in 1981 by Jimmy Lambatos, and now run by Jimmy’s son Anthony, and his wife April. Footers Catering is committed to creating a great place to work they feel when their team loves what they do, they are just as excited about the events as the clients are. Learn more about Creating a Great Place to Work here. Vital for Colorado’s mission is to support and promote the benefits of energy production in Colorado, highlight energy resource extraction as a critical part of Colorado’s state economy, and support a rational, well-regulated, and competitive regulatory environment which allows energy production in the state to thrive responsibly. Find every episode of Vital for Colorado Radio here. Supply Chain & Logistics (SCL): The Storytellers is a unique Connect & Collaborate show, sponsored by CAP Logistics, featuring guest host Doug Draper of Acme Distribution and the Denver Transportation Club. This series airs every Thursday at 4:00 p.m.
Find every episode of The Storytellers here.